2018 marks the centenary of Maharashtra's three cultural pioneers G.D.Madgulkar (GaDiMa), Sudhir Phadke & Pu La Deshpande. To pay tribute to their astounding contribution to the world of Marathi literature, music, art and cinema, Megh malhar & MTCC have joined hands to create Swartirth, a magical evening of melodies! We invite you all to come and experience the immortal legacy of the maestros on 9th December, 8 pm to 11 pm at Yashwantrao Chavan Auditorium,Matunga. 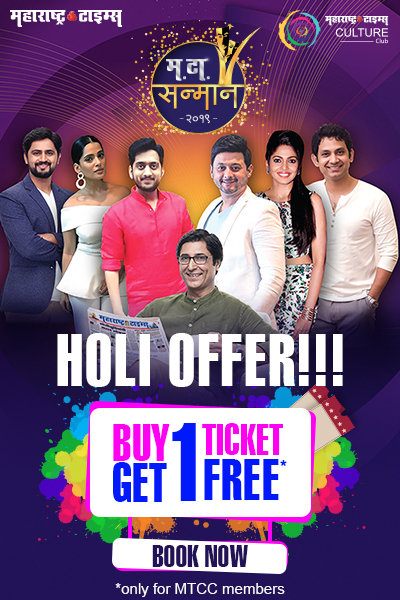 Singers Nachiket Desai,Abhishek Marotkar , Ketki Bhave, Sonali Karnik and Deepti Rege will showcase their singing talent. While the event will be host by Anagha Modak. Kindly note, online booking facility can’t be availed for this event. For booking purposes, please call on 9167711649. Working hours – 11 am to 7 pm.